E-visa is currently valid for 30 day single entry and the fee is 25 USD per person. It normally takes 3 working days to receive the e-visa code, however, the processing time may be affected by the large number of applicants or public holidays. Notes: Many of our website visitors reported that it takes 5-6 working days for them to receive the e-visa documents. Therefore, if you choose to apply for an e-visa, make sure that you apply for one 1-2 weeks in prior to your entry date. 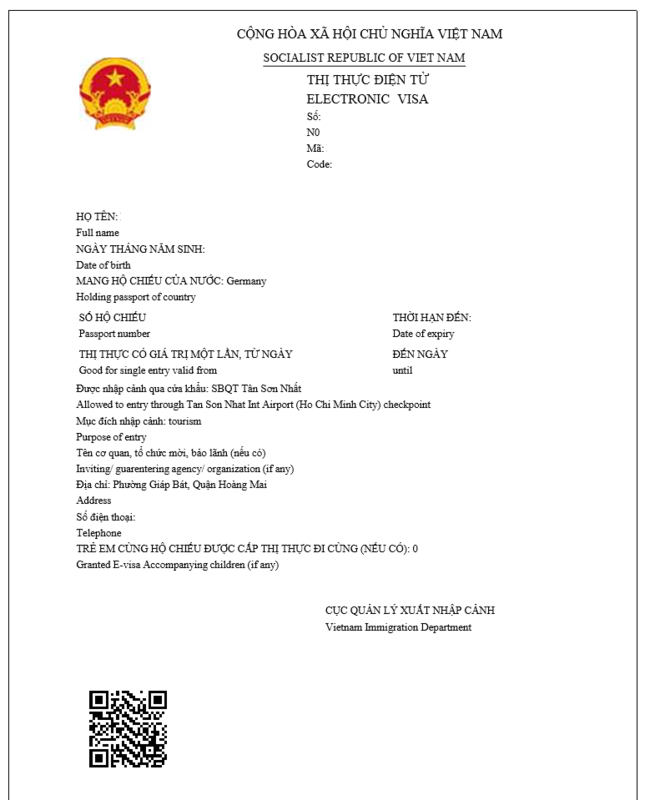 I am in Vietnam, can I apply for an e-visa for my family? Can I apply for multiple applicants at a time? No, that is not possible. You can only apply for one applicant at a time. I made a mistake with e-visa, how can I correct it? Can I enter earlier than the date specified on the e-visa? No. You can not enter Vietnam earlier or later than the date stated on the e-visa. We are a travel agency, can we apply e-visa for our customers? Yes, you can apply for your customers on their behalves at the official website above.